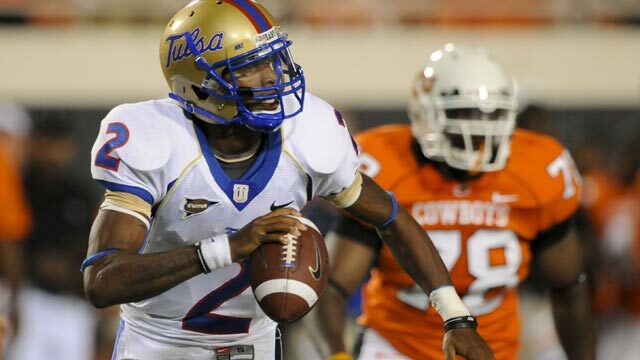 Shavodrick Beaver (pictured here in his days at Tulsa) is now at Midwestern State, which is a real place. Former Michigan quarterback commit Shavodrick Beaver sat out the 2011 season after transferring from Tulsa to Midwestern State, which is in Beaver’s hometown of Wichita Falls, Texas. Midwestern State’s starting quarterback, Brandon Kelsey, had 1,951 yards passing and 967 yards rushing. Beaver will be a redshirt junior at MSU in fall 2012. Former Michigan safety Vladimir Emilien sat out the 2011 after transferring from Michigan to Toledo. He does not appear on the Rockets’ roster, but has confirmed that he’s at Toledo and will be a redshirt junior in fall 2012. Former Michigan kicker commit Anthony Fera was 14/17 on field goals for Penn State this season with a long of 46 yards. 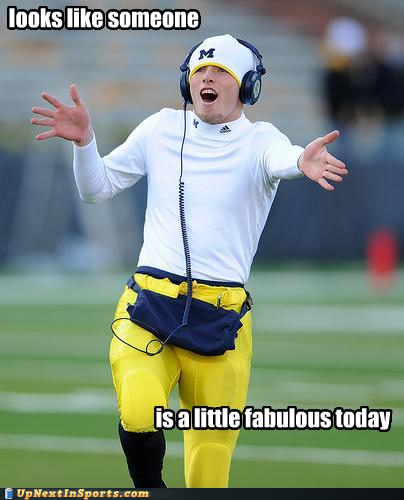 He also punted 64 times, averaging 42 yards, and handled the kickoff duties. Former Michigan quarterback Tate Forcier transferred to San Jose State this past season and seemed to be in line for the starting quarterback job next fall. However, he left SJSU in recent weeks due to “personal and financial reasons” and his career might be over. Former Michigan defensive tackle commit Pearlie Graves left Texas Tech in late September. He was reportedly transferring, but has not reappeared elsewhere, as far as I know. 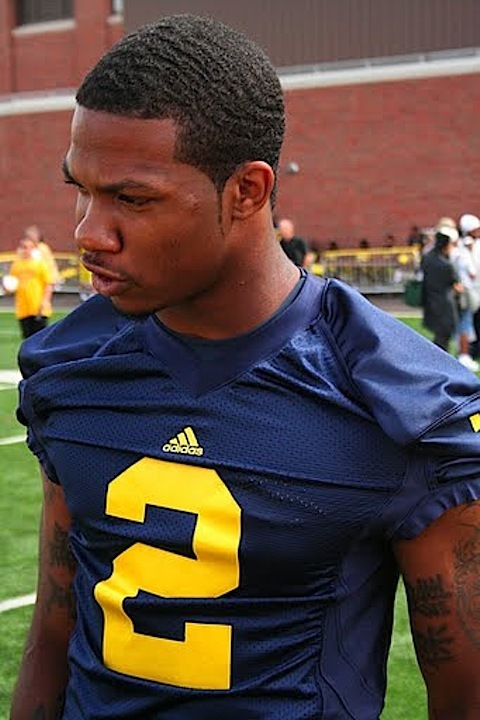 Former Michigan running back and cornerback Teric Jones left the program last offseason due to a knee injury. He remains a student at the University of Michigan. Former Michigan defensive tackle commit DeQuinta Jones finished his junior year at Arkansas. He played in all 13 games, making 19 tackles, 2 tackles for loss, and 1 sack. 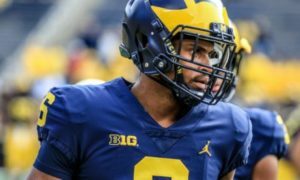 Former Michigan defensive end Anthony Lalota transferred to Rutgers, but has since quit football altogether. He practiced at tight end with the Scarlet Knights. Former Michigan wide receiver commit Bryce McNeal caught 1 pass for 8 yards at Clemson in 2011 before transferring. He is now at UConn and will be eligible in fall 2012 because he already had his bachelor’s degree. 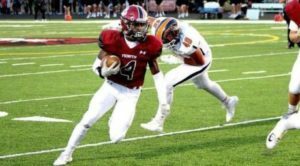 Former Michigan quarterback commit Kevin Newsome left Penn State after being buried on the depth chart behind Matt McGloin and Rob Bolden. He has not yet announced a transfer destination. Former Michigan wide receiver commit Dewayne Peace is now at Houston after leaving Arizona because of legal troubles. He spent 2010 at Blinn Community College (made famous by Cam Newton). Peace started one game for the Cougars in 2011 and played in 11 total games, making 13 catches for 105 yards (8.1 yards per catch) and 0 touchdowns. 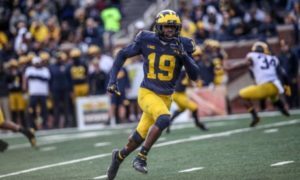 Former Michigan wide receiver Je’Ron Stokes left Michigan this past season and transferred to Bowling Green State University, where his brother Malik will be a redshirt freshman quarterback in 2012. Je’Ron will be a redshirt junior and eligible to play for the Falcons this coming season. 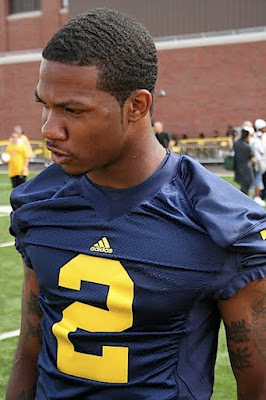 Former Michigan cornerback Justin Turner left Michigan in 2010 and transferred to Scottsdale (AZ) Community College to play football in 2011. He played 11 games there and made 47 tackles, 1 tackle for loss, 3 interceptions, 17 pass breakups, 2 forced fumbles, and 2 fumble recoveries. Here are his highlights from Scottsdale Community College. 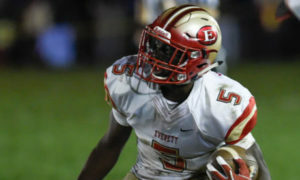 He is committed to play for Hawaii in 2012, where he will be a redshirt junior. Former Michigan cornerback signee Adrian Witty played in 12 games for Cincinnati in 2011 as a backup cornerback and special teamer. He made 15 tackles, broke up 1 pass, and forced 1 fumble. He will be a redshirt sophomore this coming fall. The Ex-Wolverine Encyclopedia is really interesting to me. I’m not sure why that is because ex-wolverines don’t impact Michigan Football whatsoever, and in many cases, the players have spurned Michigan in one way or the other. 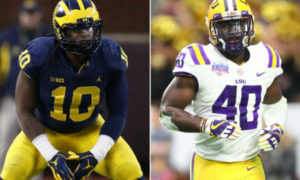 On the other hand, I find the case study aspect interesting, and I like to know whether or not the players would have made an impact at Michigan if they had stayed. Here’s an update on a few players. For a complete ex-wolverine list, go here. As always, please email/comment with any info/updates. Turner reportedly enrolled at Notre Dame College of Ohio after leaving West Virginia during the 2010 season, which Justin was scheduled to sit out due to transfer rules. 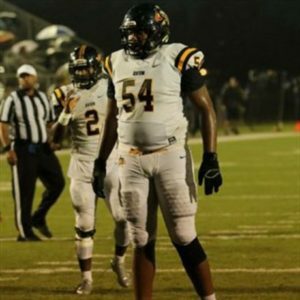 But an assistant coach at the junior college said enrollment never happened: “we thought for sure he was going to enroll, but then he dropped off the map.” The coach also heard that Turner may attend “a college in California” but wasn’t sure about the credibility of what he had heard. After being denied admission to Michigan, Dorsey enrolled in Grand Rapids Community College. Coach Andrews, the school’s defensive coordinator, said that Dorsey chose GRCC because he knew several of the players on the team who are from Florida and, as a child, Demar even played little league football with a couple of his GRCC teammates. 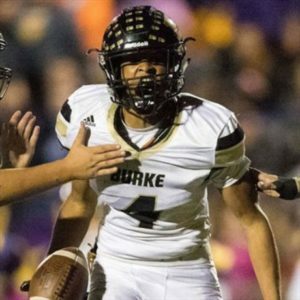 Despite a rocky start, Coach Andrews said that Dorsey has attended all of the team’s voluntary workouts this summer and is slotted to see action as a defensive back and kick returner this fall, but he doesn’t expect Dorsey to see any action on the offensive side of the ball. 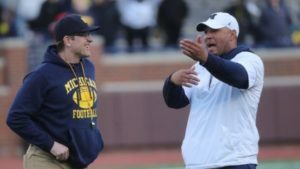 Also of note, Coach Andrews recently spoke with Chris Singletary, who indicated that Michigan would still be interested in Dorsey if he continues to demonstrate positive behavior and invest in academics. 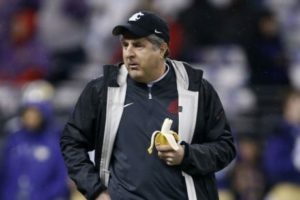 For reasons unknown to Coach Andrews, Oregon is Dorsey’s current “leader” although Dorsey hasn’t had any recent contact with the University. “Maybe it’s because they were just in National Championship game; maybe it’s because he likes their uniforms,” Coach Andrews speculated half-jokingly. After failing to academically qualify at Michigan, Cornelius enrolled at Marshall University, a former member of the MAC and a current member of Conference USA. A Marshall blog posted an article that says Jones had more academic problems at the University, but the writer then added an emboldened “Edit” bit at the end of the page that says Conelius just wanted to be closer to home. Either way, it doesn’t look like Jones will be continuing with his football career. Perhaps my least liked ex-wolverine, Boren signed on to play for the Baltimore Ravens as an undrafted free agent immediately following the NFL lockout. Although most people seem to be disinterested with the Forcier saga, I find it fascinating for a couple reasons. Firstly, had he kept his academic house in order, I would have enjoyed seeing the role he might have played in the Borges offense. Secondly — the first half of 2010. 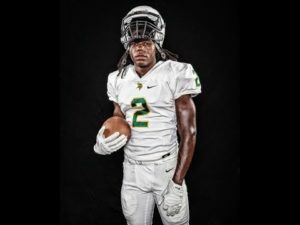 So if you don’t already know the story, Forcier reportedly committed to play for Miami (FL) but backed out because the school was too far from home. 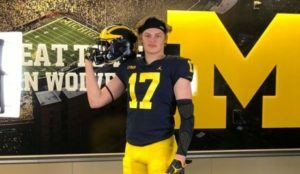 He then showed interest in Hawaii–which is a similar distance away from his San Diego home–but was denied enrollment due to issues with his Michigan transcript. Here’s to hoping he lands on his feet. 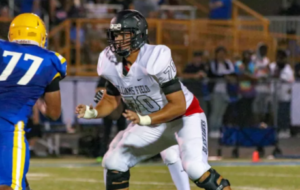 Tate Forcier has decided to become a Miami Hurricane. On top of pulling in former Michigan commits Dallas Crawford, Matt Goudis, and Antonio Kinard, coach Al Golden now has a former starting QB. The ACC seems like a better fit for Forcier. For more updates on former players and former commits, check out the Ex-Wolverine Encyclopedia. See you later, Tate. Or not. 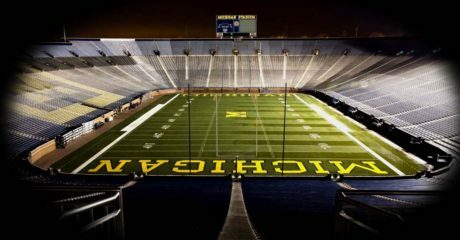 Some reports indicate that Forcier is no longer at Michigan due to flunking out during the fall semester. Mike Forcier, Tate’s father, stated that his son did not flunk out of school. Regardless, he was ineligible for the Gator Bowl against Mississippi State. Forcier is supposedly enrolled at a community college in the hopes of re-applying to the University of Michigan. 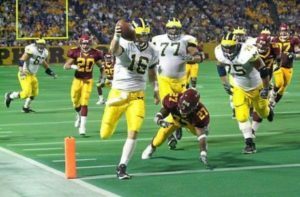 If Forcier were to be reinstated to U of M for the fall semester, he would not lose a year of eligibility, as far as I know; he would be a true junior for the 2011 season. Forcier is a 4-star recruit from San Diego who enrolled early in January 2009 to take the position vacated by Steve Threet (transferred to Arizona State) and Nick Sheridan (relegated to the bench). He immediately seized the starting position and held onto it for his entire season freshman. The team went 5-7 and Forcier finished 165-for-281 (58.7%) for 2050 yards, 13 touchdowns, and 10 interceptions. Some reported immaturity and the meteoric rise of classmate Denard Robinson sent Forcier to the sideline for the majority of 2010. 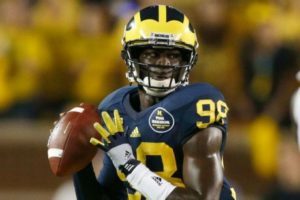 He originally responded poorly to the benching, entertaining thoughts of a transfer when true freshman Devin Gardner overtook the sophomore Forcier for second place on the depth chart during the 2010 opener against Connecticut. 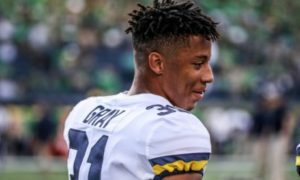 However, Forcier’s third-place spot on the depth chart turned out to be maturity based rather than performance-based, and he eventually overtook Gardner. Forcier saw spot duty in several games, but really showed out when Robinson was injured against Illinois. Forcier finished out the second half of the 67-65, triple-overtime victory. He ended the season 54-for-84 (64.3%) for 597 yards, 4 touchdowns, and 4 interceptions. I was excited about Forcier when he was recruited back in 2009. 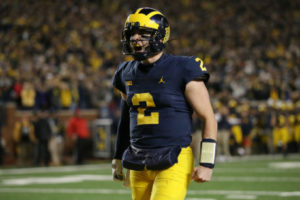 I thought he had a chance to be a version 2.0 Rich Rodriguez quarterback, the type who would throw the ball a lot, run a little bit, and hand off to some as-yet-undiscovered superstar Rich Rodriguez running back. But . . . uhhh . . . none of that really happened. Forcier turned out to be a little too headstrong for his own good, throwing passes he had no business throwing, scrambling with the ball loosely held in one arm, taking his starting job a little too lightly, and ultimately losing his spot on the football team. He still has potential to be a decent quarterback if he matures – both on and off the field. 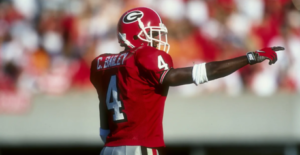 But I also won’t be surprised if he fades into the background like both of his quarterback brothers (Jason, who was a backup at Michigan and Stanford; and Chris, who played at UCLA and Furman). Forcier’s departure almost guarantees that new coach Brady Hoke will need to recruit one or more quarterbacks for the Class of 2011. 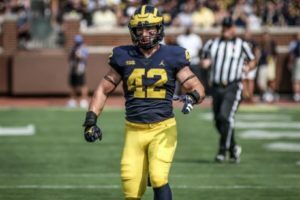 Even if Forcier finds himself back on Michigan’s campus in the fall, the quarterback position would remain thin with only three scholarship players. While Hoke has promised to incorporate Denard Robinson’s skills into the offense, I expect that Michigan will try to find a pro-style quarterback before National Signing Day.